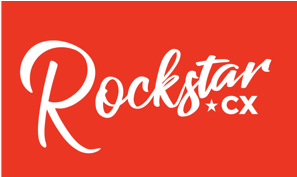 Get an inspirational talk about creating a rockstar customer experience or rockstar employee engagement interspersed with guitar playing from the award winning rockstar James Dodkins. The guitar playing isn't just for fun, it will be used to creatively highlight certain points in a memorable and transformative way. Through out the talk, sections of the audience will learn different simple rhythms that they can 'drum' on their legs and tables, At the end of the talk the separate drumming will all be brought together into an amazing beat that James will play guitar to, making your delegates part of the band.